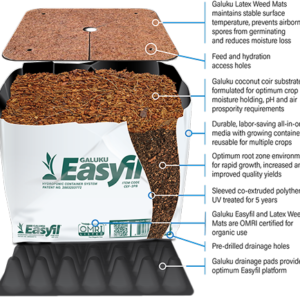 The Easyfil Growing System features our patented Easyfil Planterbag which saves money by reducing labor costs – serving as both the growing media and growing container in one product. 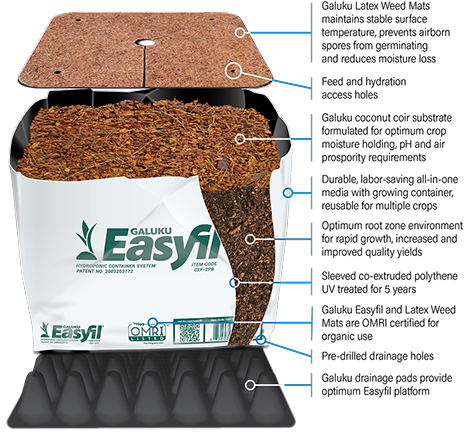 It provides for multiple crop cycles by eliminating the need to replace growing media after every crop (as you would need to with wood-shavings substrates). 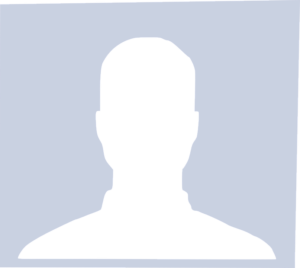 Also, better hygiene is achieved thanks to a self-contained system that reduces the risk of contaminating the media. 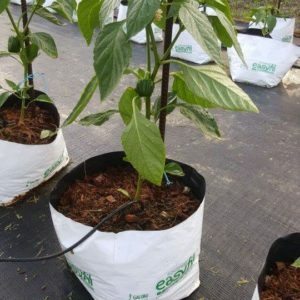 Galuku’s Latex Weed Mats and Drainage Pads complete the system and provide the optimum platform for achieving the best results from Easyfil PlanterBags. 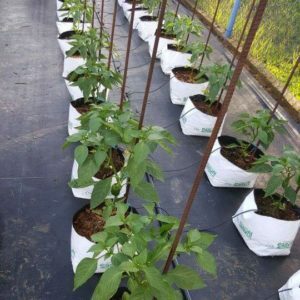 Improves crop yields: Commercially proven to increase the quantity and quality of many crops including blueberries, raspberries, blackberries, tomatoes, cucumbers and peppers. 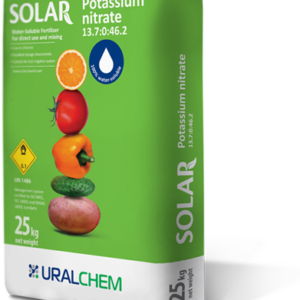 Saves water: Allows for accurate control of moisture content during critical crop phases. 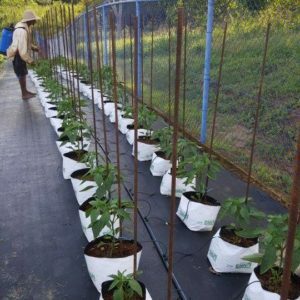 Ready for use in Elevated Gardens, Green Walls, Rooftop Gardens, Hydroponic Cultivation, Seed Raising and Planting Mixes. 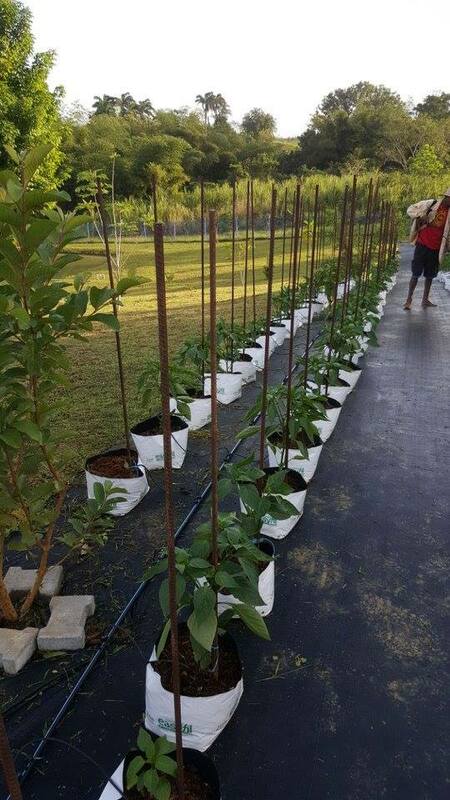 All these above-ground growing systems thrive and show marked improvement in plant health when CocoEarth is used. 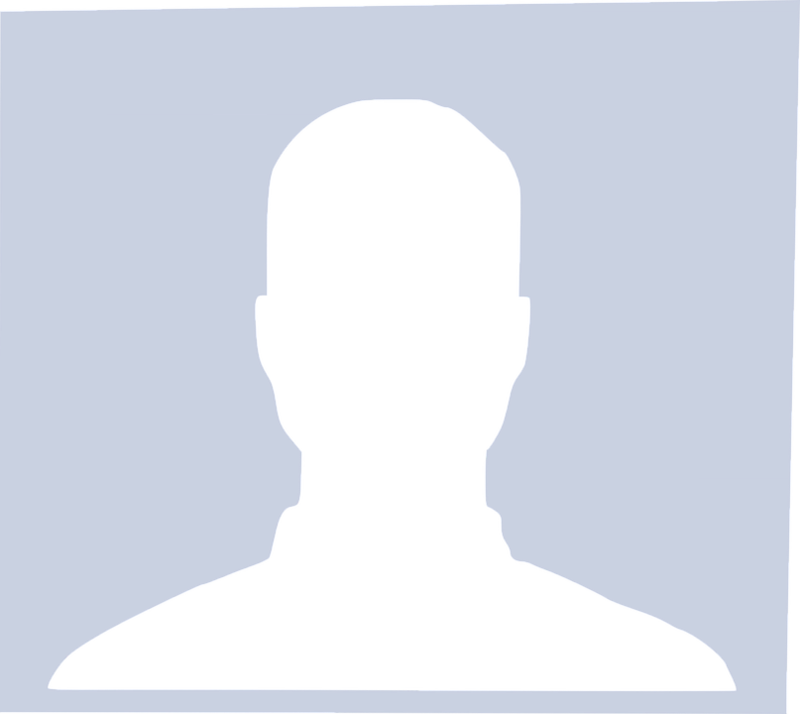 This is due to its unique properties that maximize growth. 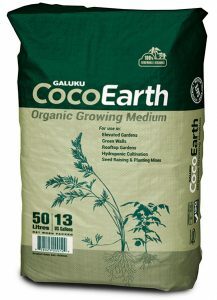 CocoEarth ensures the perfect combination of moisture, nutrient and air allowing plants and crops to flourish. 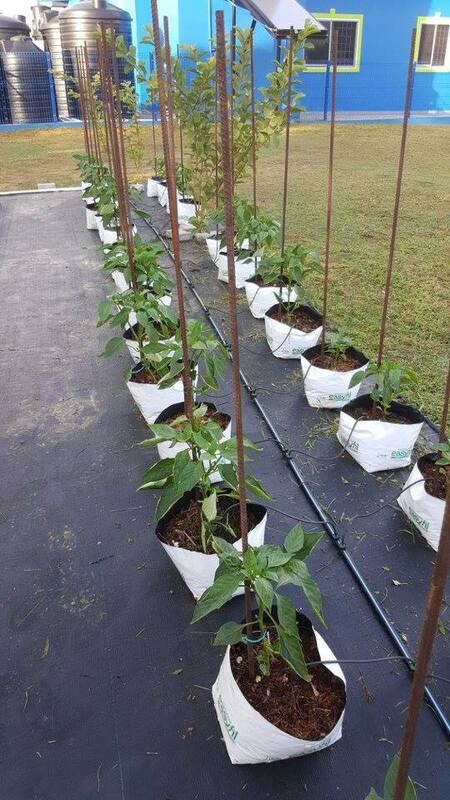 Even under adverse climatic conditions root health is maintained. 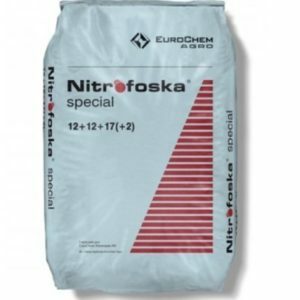 It is essential that a complete and balanced liquid nutrient specific for your crop and growing systems is used in conjunction with CocoEarth. 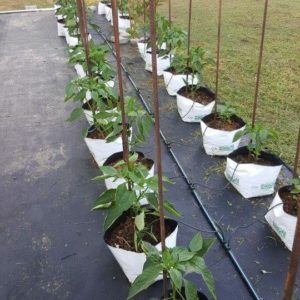 Being a lightweight, CocoEarth is ideal for Green Walls and Roof Top Gardens where weight of substrate can be a constraint. 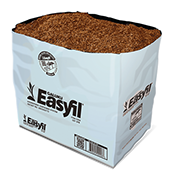 CocoEarth is ideally mixed with other lightweight inorganic materials such as scoria or pumice to further reduce weight loadings. 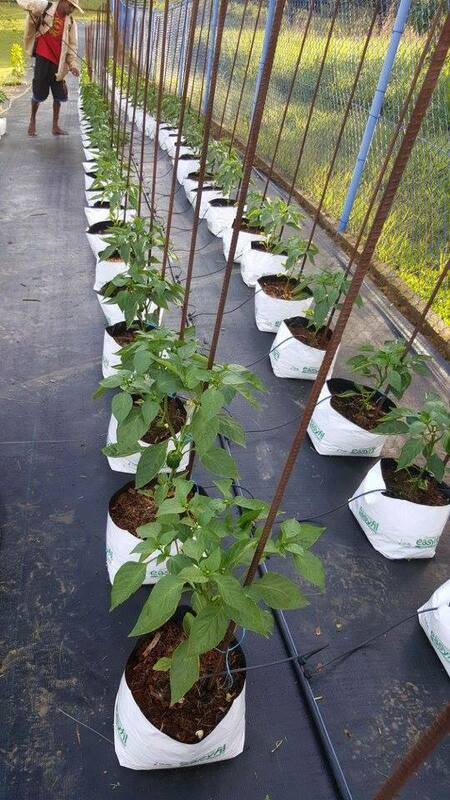 CocoEarth’s consistent substrate properties are ideal in Hydroponics, including recirculating and free drain systems. The high lignin content of CocoEarth makes it highly resistant to breakdown and hence resists change over time. The natural fungicidal properties of CocoEarth are effective in greatly reducing the incidence of root diseases. Electrical conductivity and pH consistency are easily achieved with CocoEarth. 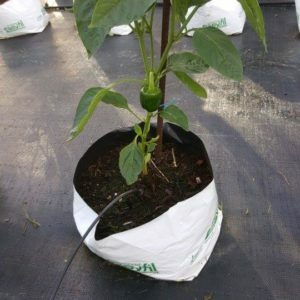 HydroCS Grow Bags are available in a variety of air/water combinations that allow each grower to control the water content on a daily or seasonal basis. 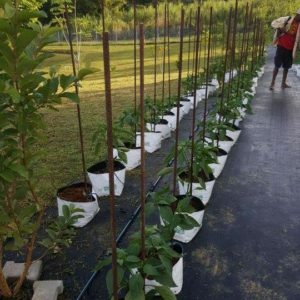 We pre-cut drainage and planting holes, and pre-drill dripper holes according to your requirements. 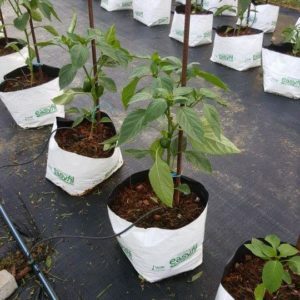 We also offer customized Grow Bag sizes. 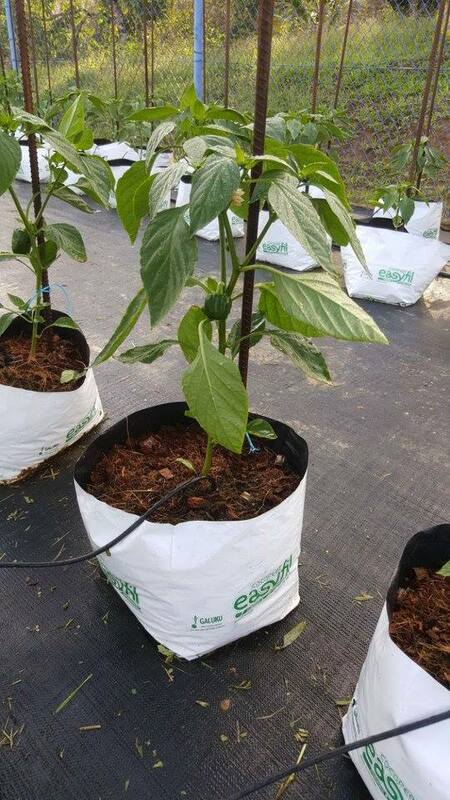 Galuku HydroCS Grow Bags are proven and reliable with over 4 million grow bags in production at any one time. 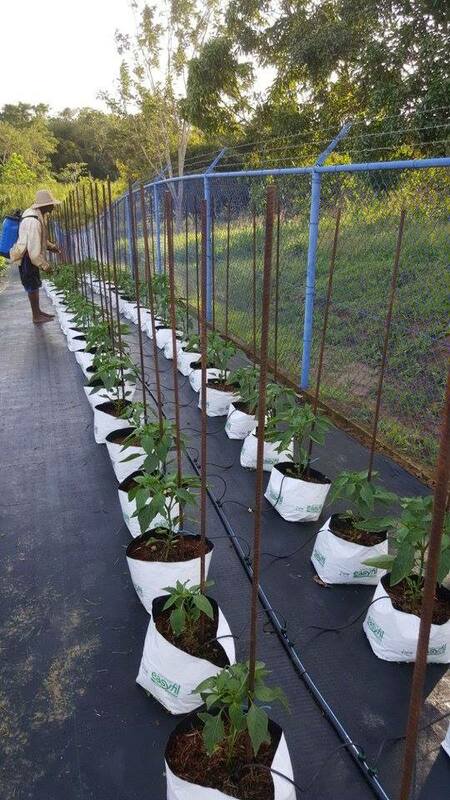 They are trusted by growers from New Zealand to Mexico and all over the world. 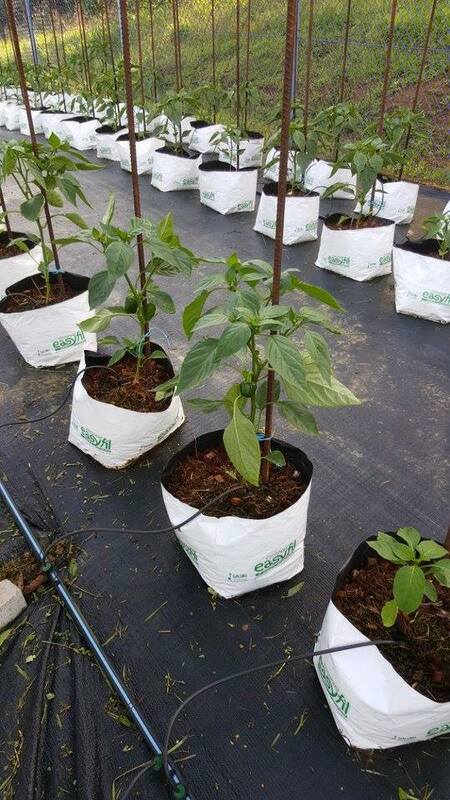 Galuku Hydroponic Grow Bags are sleeved in co-extruded polythene bags, with customized UV treatment for specific crop and production cycle requirements. 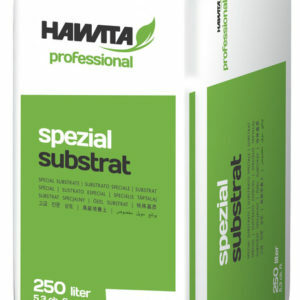 A substrate specially matched for the propagation of vegetables and ornamental plant seedlings. 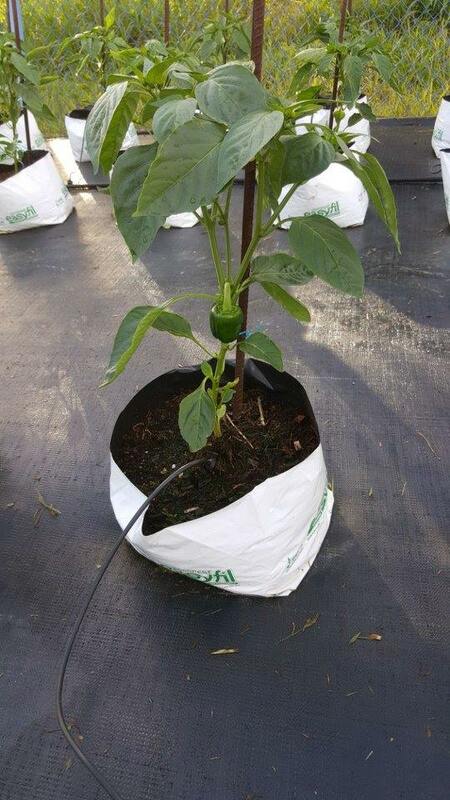 Particularly suitable for use in trays and other propagation systems due to its fine structure.